Tesla Inc (NASDAQ:TSLA)’s marketing budget: $0. We all have seen the picture. The picture. The one that features Starman clad in a SpaceX astronaut suit. It is nothing short of epic. Musk’s SpaceX launched the Falcon Heavy rocket to much fanfare. The 27-engine behemoth is the most powerful rocket in use today. Because Musk though the launch wasn’t exiting enough, he put his own cherry red Tesla Roadster in the rocket to be released into space. 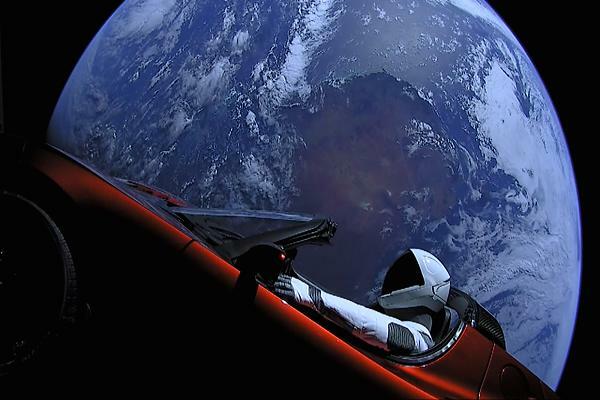 There’s a live video feed of the Tesla floating through space. If you work in marketing, I wouldn’t be surprised if your clients ask you to have a “stunt” marketing campaign with a $5,000 budget. Its successful launch was a significant step forward for SpaceX and Musk’s eventual goal of sending people to live on Mars. President Kennedy was fixated on the moon. Musk is fixated on Mars. I had the opportunity to visit the Tesla factory in Fremont but it didn’t work out. There are plenty of documentaries on the factory such as this one (Youtube). I have written a post on Elon Musk after reading his biography. Musk and his accomplishments are an incredible story. We need more Elon Musk in this world. Musk has his share of critics. But he is also an easy target. I have no investment in Tesla and I don’t plan too. I would like a Tesla roadster but there’s no way I’m touching the shares. I can’t justify its valuation (TSLA). Tesla is currently trading at a $60 billion market cap and an enterprise value of $70 billion. And it makes no money. I know this is a bet on the future, but let’s say that once it is profitable, what will be its margins? 5-8%? I haven’t got into its financials. Tesla has a lot debt, losses, and burns a lot of cash. If you think its financials are bad, the critics are trashing the new Model 3 that just came out. The quality of the car has been compared to the 1990s Kia. In a normal rational world, none of this is good for the price of a stock. 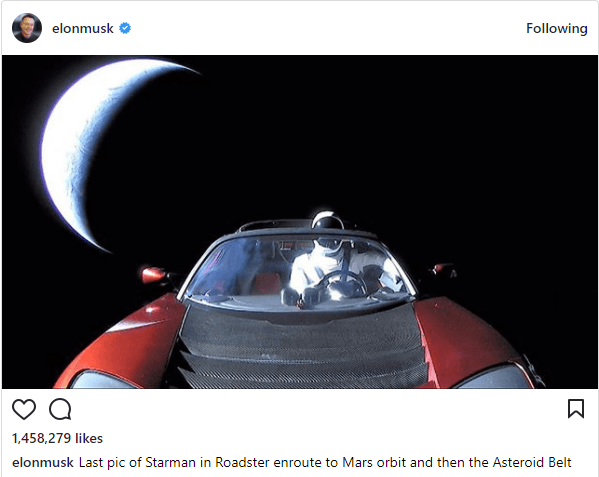 So why, knowing what we know, is Tesla trading at astronomical levels? Tesla’s shareholders are like members of a religious cult. They don’t invest based on fundamentals (things like profits, cash flow, and assets), but instead the investment is based on faith. They believe that Tesla will revolutionize the world and they want a piece of the action (or wealthy). In my mind, they have no idea what’s about the hit them. But as long as the capital markets are there to support Musk’s vision he might succeed in accomplishing it. But am I ready to bet against Musk? Hell no.